We take 5 minutes after dress up to shake our sillies out with our ever so popular parachute! The children love parachute time, it also serves as a great photo opportunity for our birthday child! Each party has Arts and Crafts time! Our party guests have a choice to create their very own Swords, Magical Castles or Princess Wands! We use paint, glitter, pom-poms, gems, blotters, markers and everything that makes crafting fun! pop bubbles while we are Under the Sea and much, much more! All children enjoy delicious pizza, cupcakes and the choice of water, lemonade and apple juice! We have Slime Time, Tie-Dye, American Doll, Karaoke & Minute-to-Win-It parties! 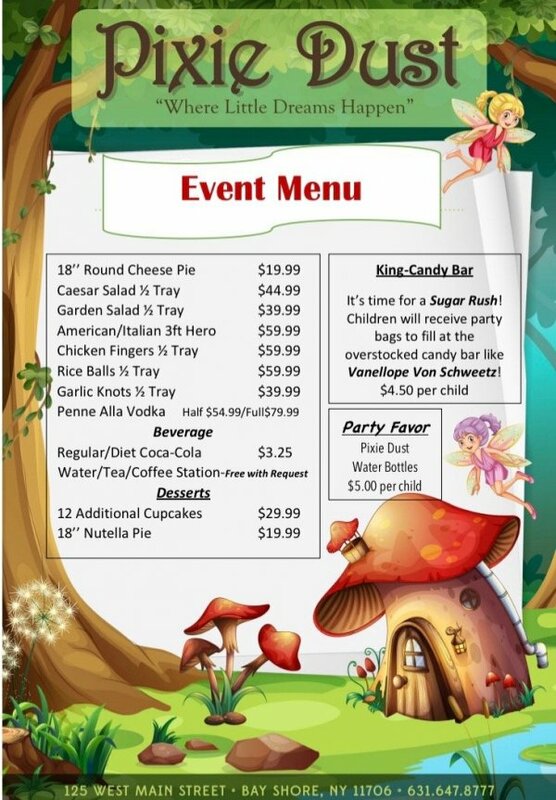 These parties are perfect for our boys and girls turning 7-12 years old! to display in a slide show on our big screen TV of the birthday child! Open Play at Pixie Dust!